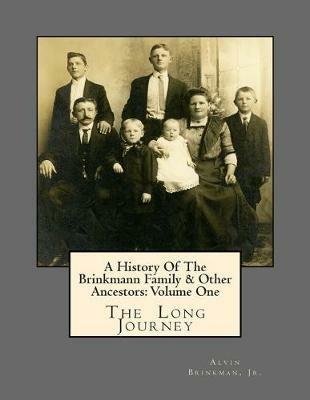 A History of The Brinkmann Family & Other Ancestors: Volume One, The Long Journey presents the known written and oral history of the early European Brinkmann family and explores information obtained from documents discovered during genealogy research. Volume One begins with a review of European history and glassmaking in Europe. It then goes on to provide details of the Brinkmann family members, with a comprehensive review of information regarding family occupations, immigrations, and other relevant life events spanning from the early 1700s in Europe up to the 1900s. Also included is a Brinkmann Descendants Family List citing all known Brinkmann family members, spouse, and children, including the dates of their vital events. This book is written in a story time-line format and includes this author's comments. Alvin Brinkman, Jr., was born on October 4, 1949, in Milwaukee, Wisconsin and has authored several books of poetry, children's books, and short stories since 1968. He received a B.S.N. degree, and a minor in Creative Writing, from the University of Wisconsin, Milwaukee in 1978, and is currently retired and living in rural Wisconsin.